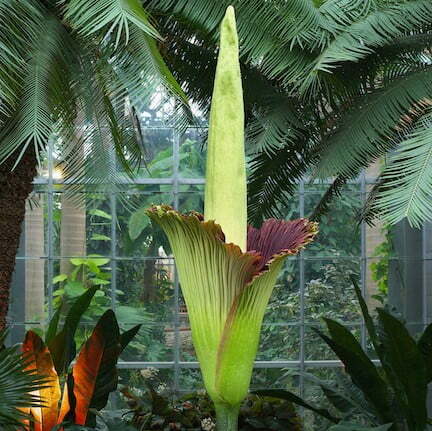 Three corpse flowers are in readiness to bloom at US Botanic Garden. BYO smelling salts. 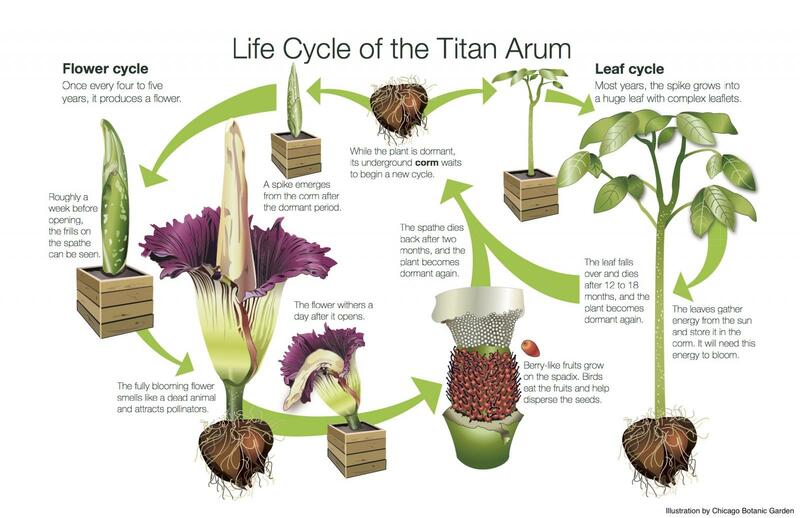 Three titan arum (Amorphophallus titanum) plants, also known as corpse flower, are nearing bloom at the US Botanic Garden Conservatory. It is the first time flowering for all three plants which range in age from 5 to 12 years old. The spectacle of three coinciding blooms is thought to be a first in a North American institution. The first flower is estimated to begin opening 20-23 August 2017, with the plants now on view to the public by visiting the Conservatory at the US Botanic Gardens, Washington DC. Admission is free. Extended opening hours are in place until 7pm, and 10pm on peak bloom days. Check opening hours before visiting. There is also an online webcam, to see them without the smell.